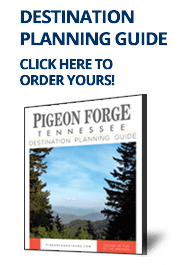 Pigeon Forge is the perfect destination for spiritual retreats or religious conferences. There’s no better way to renew your spirit than by experiencing the majesty of the Great Smoky Mountains. Since the town is far removed from everyday hustle and bustle, you can easily conduct your spiritual retreat or religious conference with ease and comfort. Many of the facilities have meeting space and special amenities just for church groups. With nationally-known hotel properties to large group chalets, you’re sure to find an ideal location for your retreat. When it’s playtime, the number of attractions and theatres where your attendees can kick back will amaze you and are just down the Parkway.